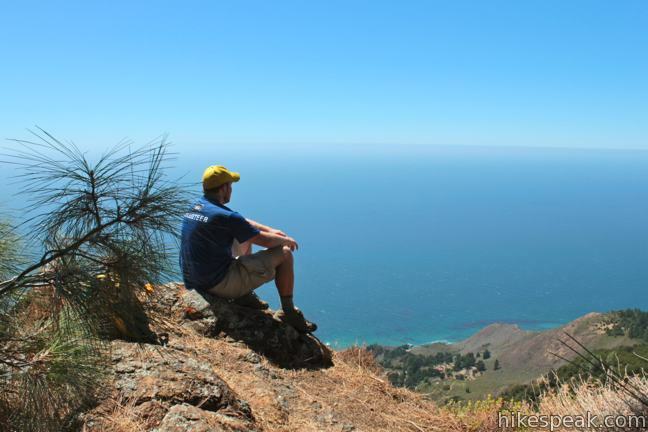 It can sound like hyperbole when you try to put into words the breathtaking, jaw-dropping stop-you-in-your tracks ocean views found on trails in Big Sur. 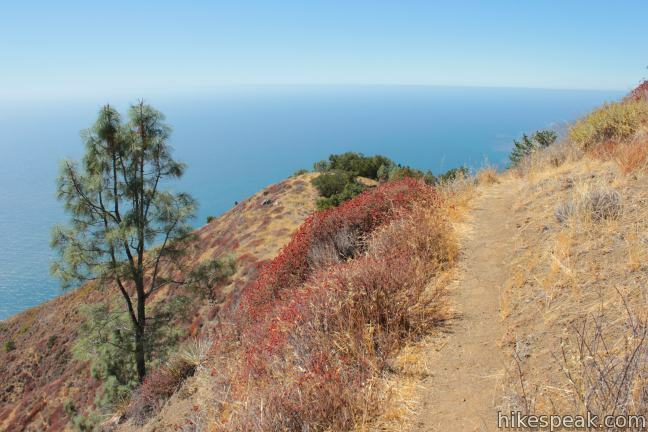 Never the less, Buckeye Trail has absolutely extraordinary views over the Pacific that you need to see to believe. 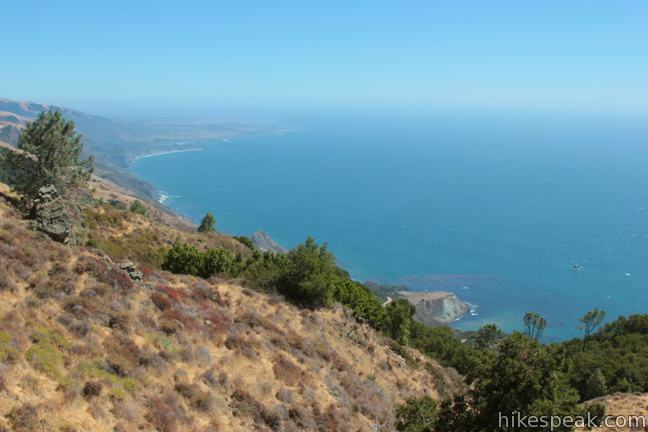 Rising above Highway One, the trail ventures through the Silver Peak Wilderness, ascending coastal canyons and ridges to panoramic vistas and a number of trail camps. From the Soda Springs Trailhead, it is 6.5 miles round trip to Buckeye Camp, with 1,450 feet of elevation gain. Buckeye Trail continues beyond Buckeye Camp to a junction with Cruickshank Trail at Upper Cruickshank Camp, 5.75 miles from the start. 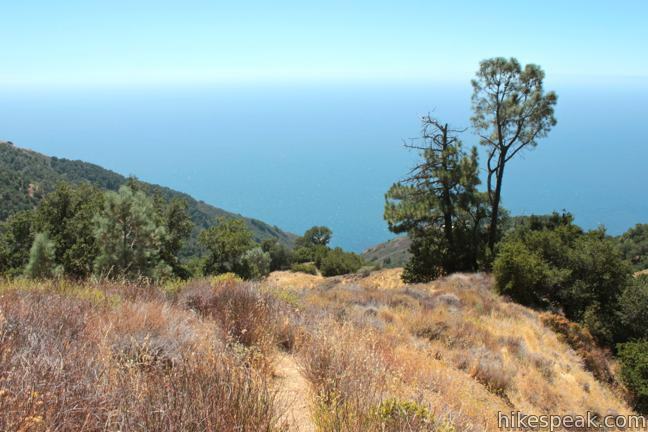 The two trails combine for a great through hike (for those with two vehicles). Even if you can only hike the first couple miles of Buckeye Trail, it will still provide an exception experience. Buckeye Trail begins alongside the non-operational Salmon Creek Ranger Station, around the bend from the trail to Salmon Creek Falls. 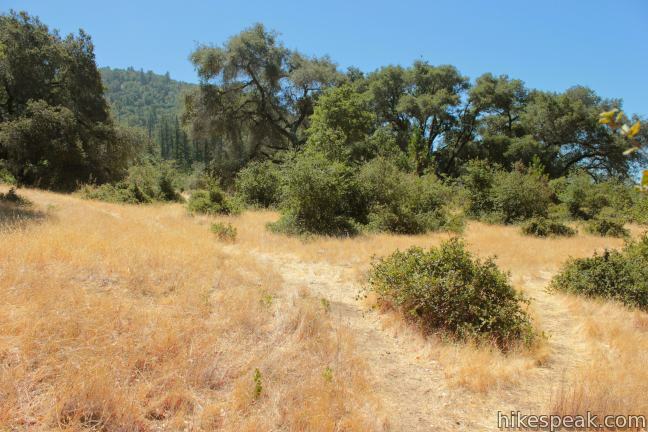 Overgrown at the start, Buckeye Trail climbs 575 feet over the first mile to a junction with Soda Springs Trail. An easier route to this junction is to hike up Soda Springs Trail, which departs from Highway One north of Salmon Creek at a higher elevation. 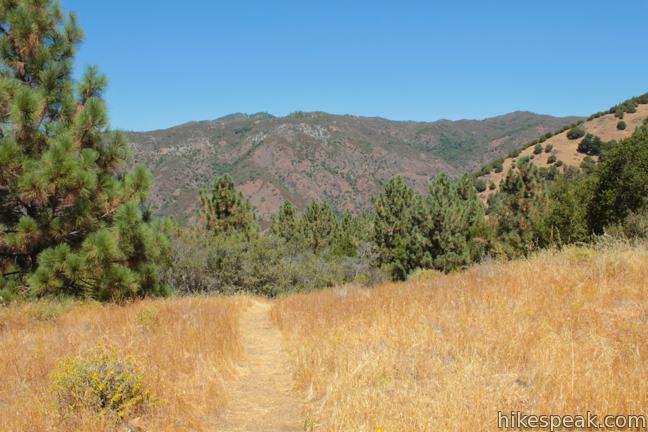 From this trailhead, you will reach the Buckeye Trail junction after just half a mile of hiking with 225 feet of elevation gain. 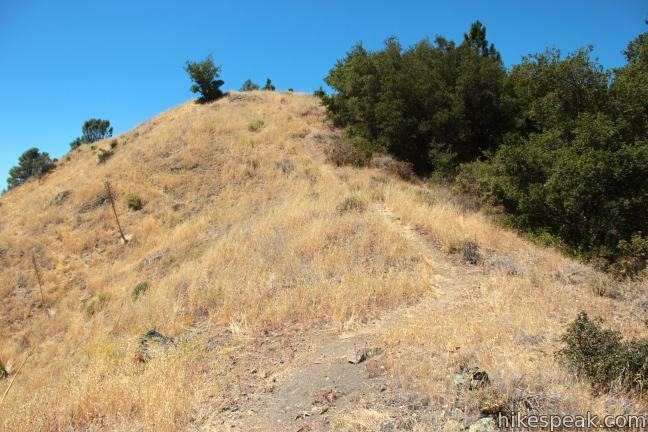 Given the climb ahead, you may prefer to start from Soda Springs Trail. Soda Springs Trail gets going from a turnout along Highway One, next to a large trail mileage sign. 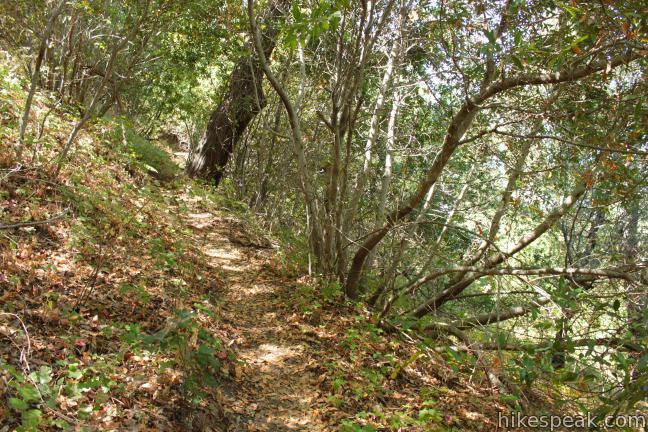 The trail heads uphill through an oak woodland along Soda Springs Creek. 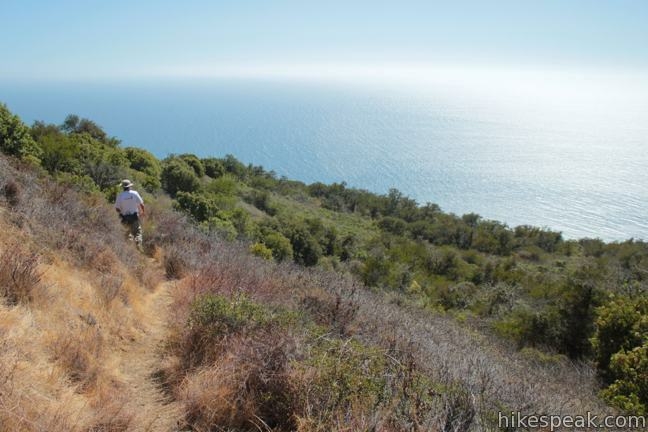 Expect the single track to be overgrown by brush as you push up the winding trail. 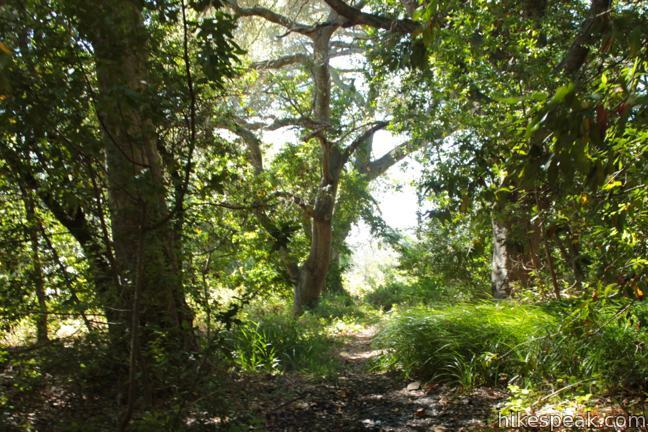 Once you reach Buckeye Trail, you will be free from this crowded vegetation, and a great view awaits at the marked junction with Buckeye Trail. Pause and look south down the first leg of the dirt single track, where Buckeye Trail crosses a grassy mesa above Highway One. Gaze past rocky wave-battered points toward the Piedras Blancas Lighthouse, about 15 miles to the south. 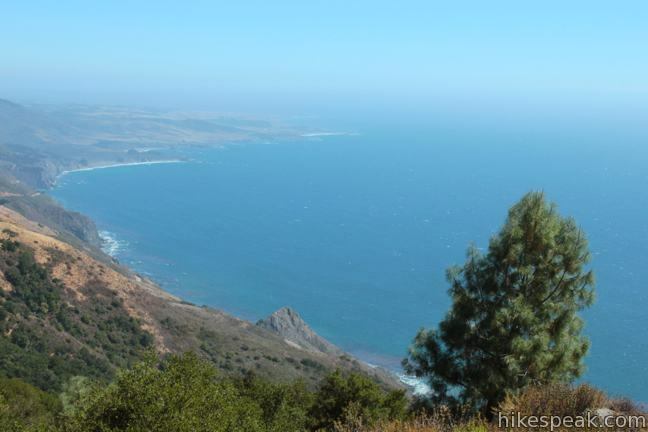 On a clear day, you can see past Cambria and Morro Bay toward Point Buchon. 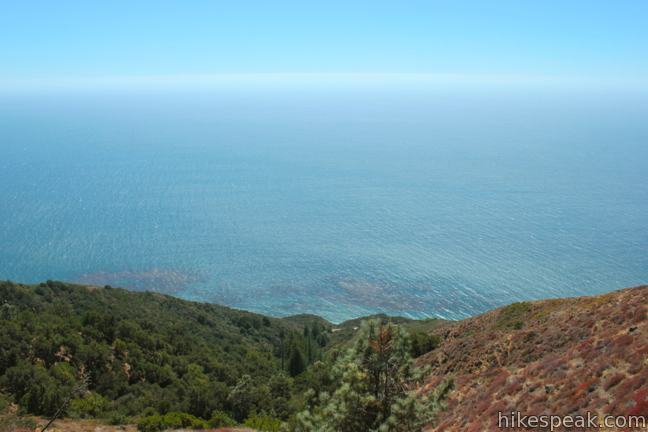 The views are striking, and will only expand as you head higher up the trail. 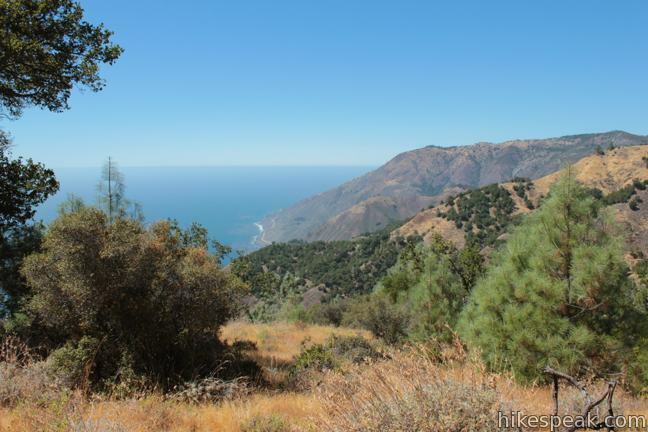 Turn left up Buckeye Trail, which immediately enters the Silver Peak Wilderness, a pristine 28,000-acre section of Los Padres National Forest. 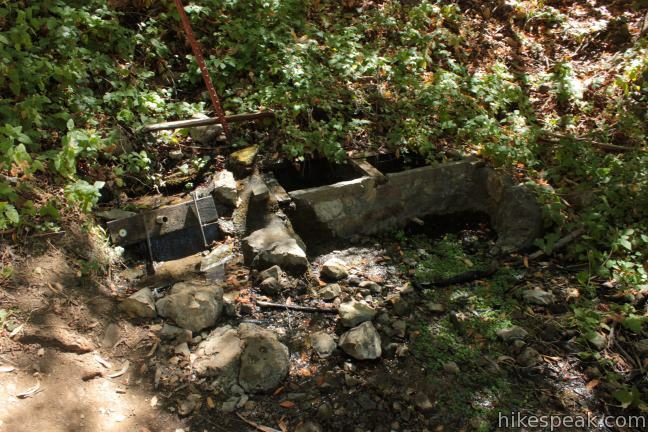 The dirt track crosses several steep ravines formed by the drainage of Soda Springs Creek. In the wet spring season, you will find flowing streams with small cascades that pour over boulders to fill clear pools. 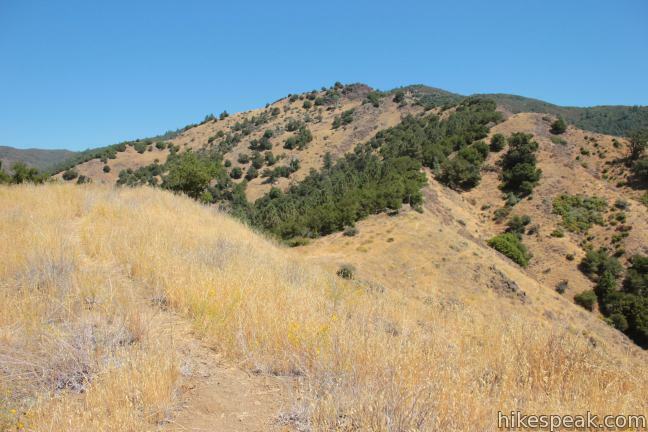 About a mile from the Soda Springs Trail junction (in which 500 feet of elevation are gained), Buckeye Trail leaves Soda Creek’s canyon and launches into a short steep climb over loose dirt. 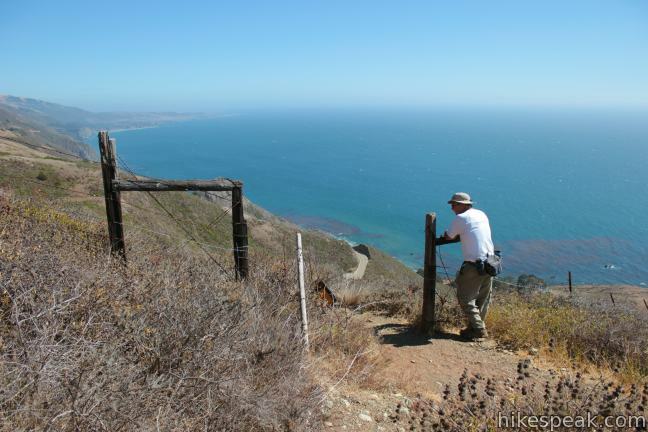 Ahead the trail reaches a grassy bluff and the start of a mile of spectacular southward views down the coast. 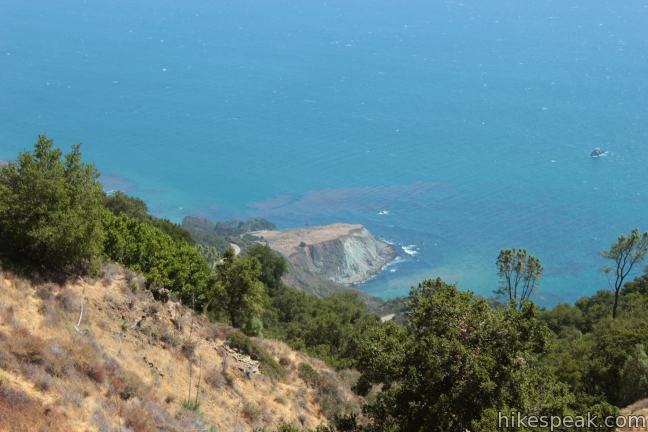 The trail climbs gradually up the winding mountainside, with each ripple in the terrain delivering a new view up or down the coast. This section of Buckeye Trail is as picturesque as any you will ever find. 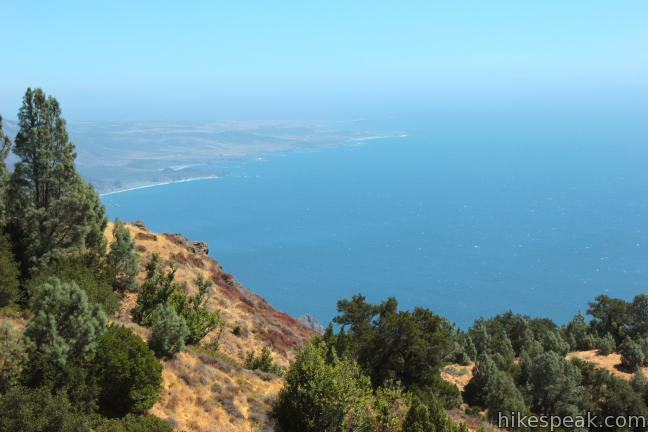 Capping off the scenic mile, the trail crosses a 2,200-foot bluff where the panoramic perspective expands to the north, delivering a coastal view of tall green mountains dropping to the Pacific Ocean. 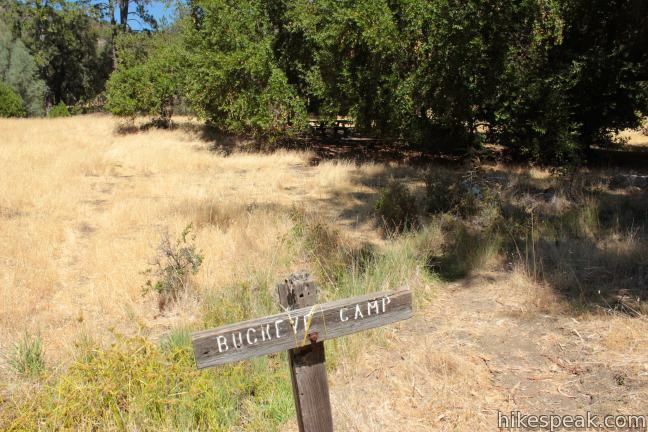 From here, Buckeye Trail descends fifty feet over the next third of a mile to Buckeye Camp, marked by a wooden sign. Straight ahead the campsite is set in the shade of large oak tree. There is a picnic table, a fire ring, and room for a few tents under and around the tree. If you turn right, passing alongside a tall eucalyptus tree, you will find a spring built into a bank. 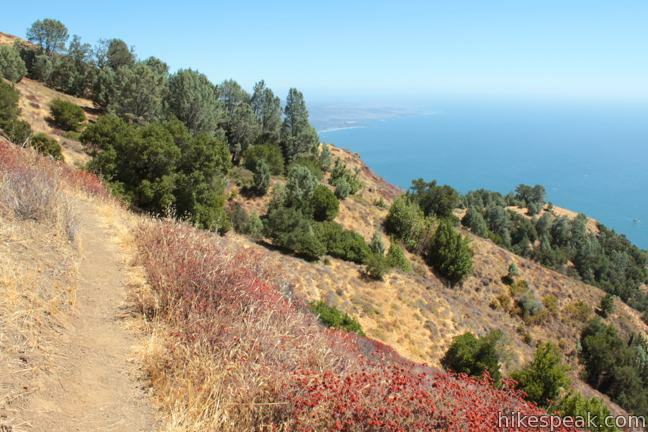 Beyond Buckeye Camp, Buckeye Trail continues toward Upper Cruickshank Camp (2.5 miles away), reaching a soaring ocean overlook after 1.2 miles. 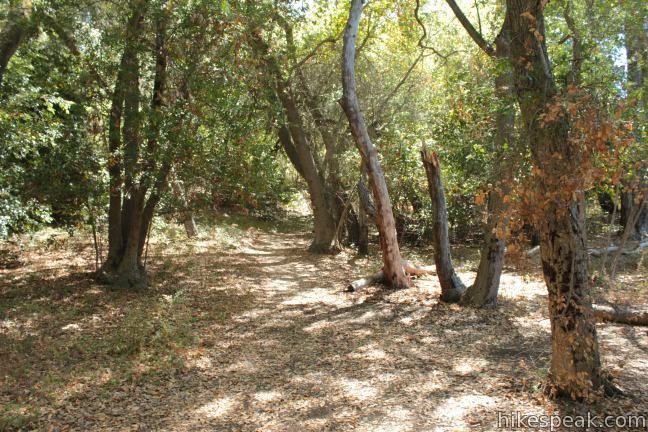 The trail turns left, heading downhill across a grassy meadow to the edge of an oak woodland where you will find another small camp, just a tenth of a mile from the main Buckeye Camp. 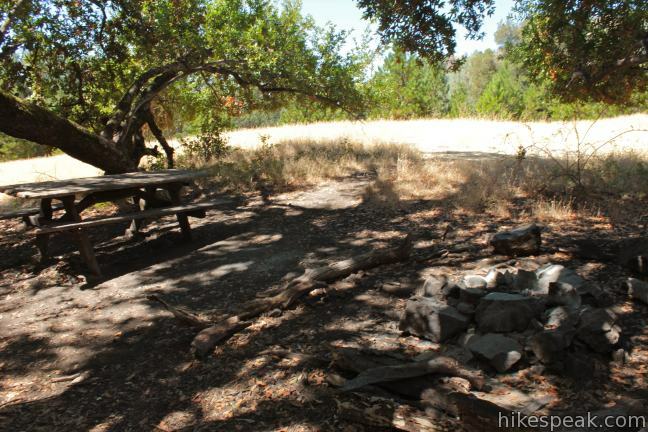 The trail camp has a fire ring and a broken picnic table (as of 2012). Buckeye Trail then continues downhill into a canyon with a small sycamore-lined creek. 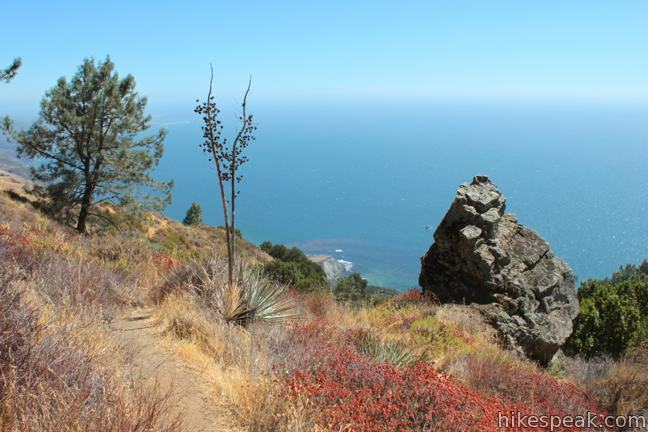 Turning uphill, the trail gains 325 feet over the next 3/4 of a mile, heading up the side of the canyon over a slope of grasses and small outcroppings (that allow ocean views) to a ridge with an unforgettable overlook. Watch for loose ground as you ascend an unmarked junction in a saddle along the ridge. Buckeye Trail continues to the right, descending 1.2 miles toward Upper Cruickshank Camp. Before heading downhill, bear left and venture out to a rise at the end of the ridge. 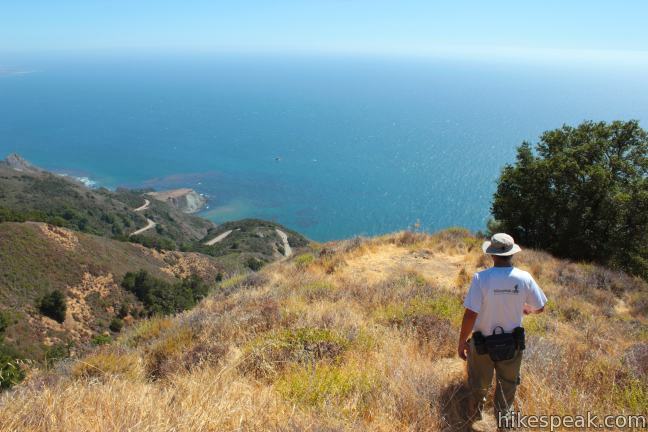 Follow the path for just over a tenth of a mile to a ledge with sweeping views over the Big Sur coast. 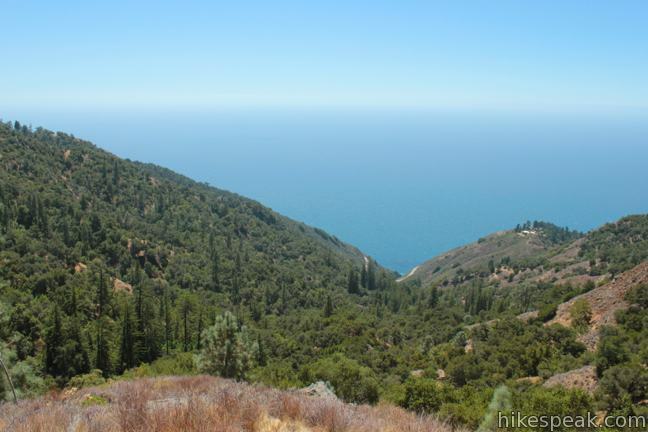 Look north over miles and miles of mountains in the Silver Peak Wilderness and Ventana Wilderness. 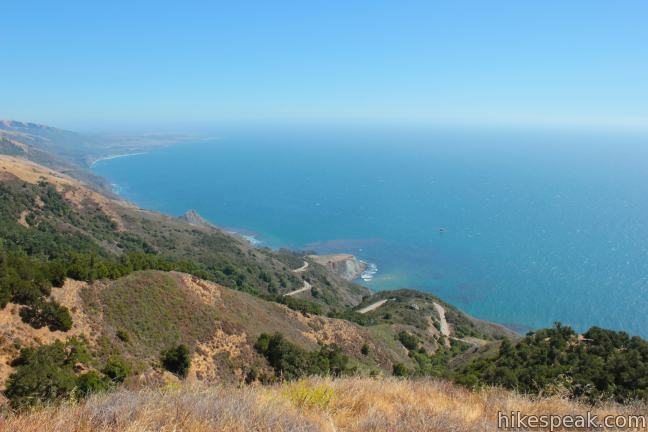 Below Highway One, there is a seemingly endless carpet of blue ocean waters stretching to the horizon. 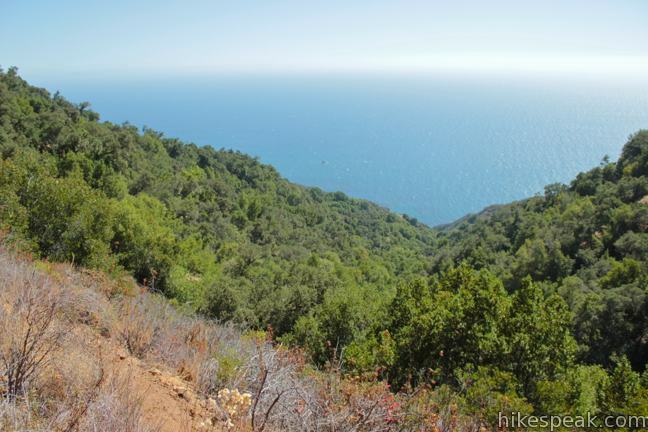 From this divine vantage, you can also look down on the switchbacks at the start of Cruickshank Trail. The lofty views from this 2,325-foot ridge are simply extraordinary. Return to the saddle, where Buckeye Trail heads down the north side of the ridge toward Upper Cruickshank Camp. 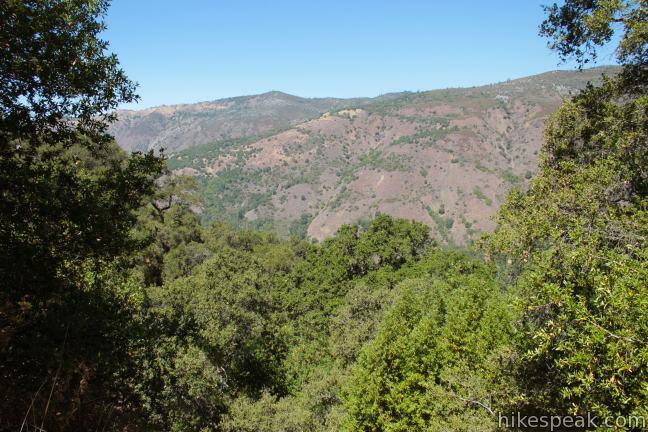 This face of the ridge is covered in trees and tall brush, offering shade as you descend over a mile to a junction with an upper section of Cruickshank Trail (heading to Silver Camp and Lions Den Camp). 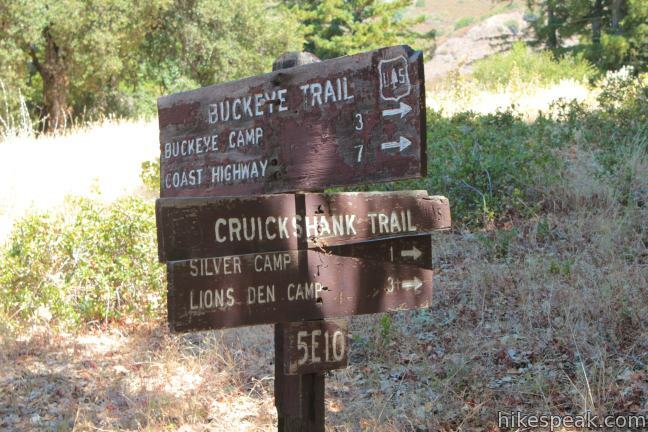 Stay to the left on Buckeye Trail, crossing a meadow to a grove of oaks and redwoods where you will find Upper Cruickshank Camp. 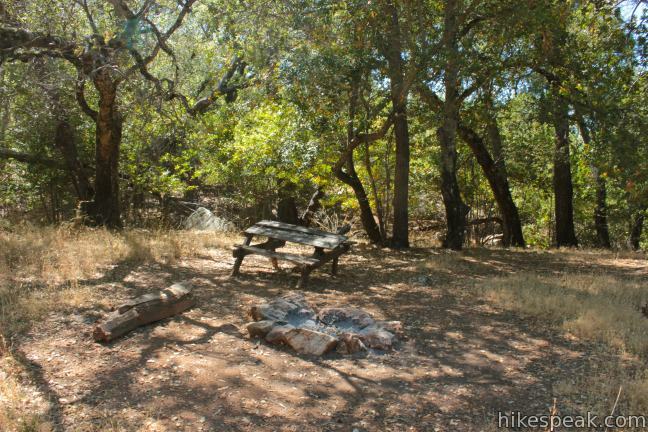 The trail camp has a group-friendly seating area around a larger fire ring and room for a few tents. Farther to the north, Buckeye Trail drops half a mile into a canyon to Villa Creek Camp, continuing another four miles to Alder Creek Camp. 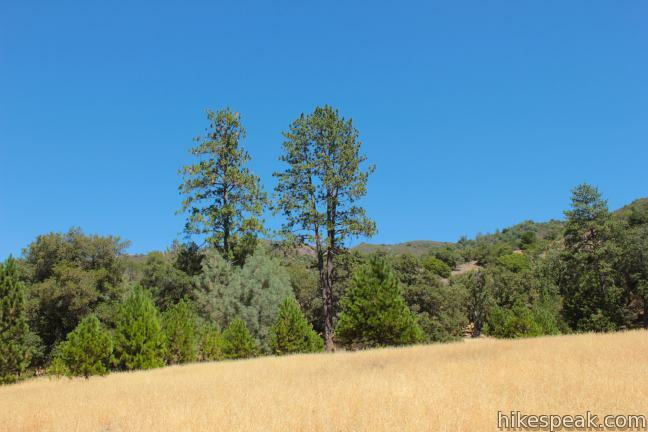 A hike up Soda Springs Trail and Buckeye Trail to Villa Creek Camp is 12.5 miles round trip with 1,625 feet of elevation change. Heading to the left from Upper Cruickshank Camp, Cruickshank Trail descends for 2.5 miles to Highway One. 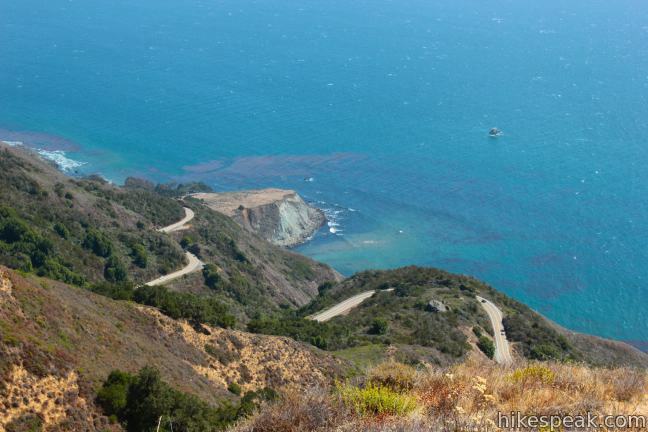 If you have multiple vehicles, the two trails combine to form a fantastic through hike. 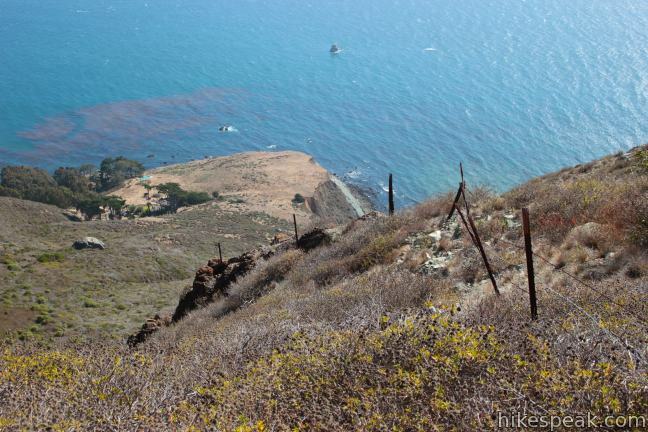 You can maximize the ocean views on Buckeye Trail by first hiking up Cruickshank Trail and then hiking down Buckeye Trail for a trek of 8.25 miles or more. 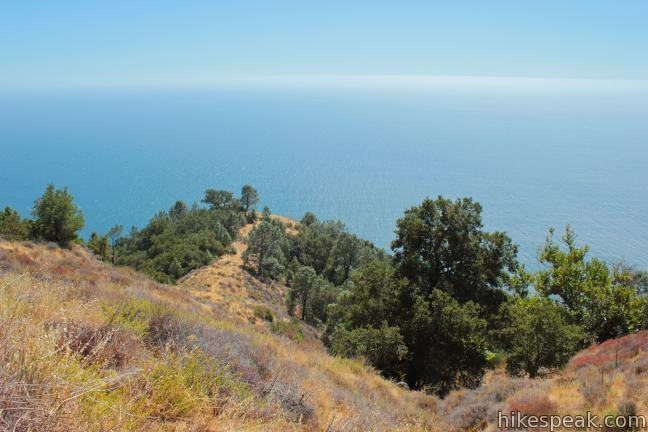 Whether you go as far as Buckeye Camp, the memorable ocean overlook, or all the way to Upper Cruickshank Camp, you are ensured a fantastic hike on Buckeye Trail. 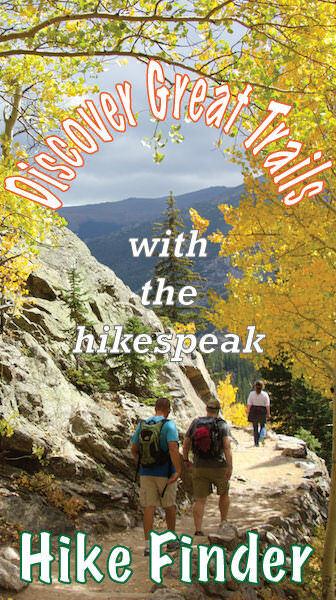 The trail is free for hikers, and no permit is required to stay overnight at any of the trail camps in the Silver Peak Wilderness. An easy-to-obtain campfire permit is required if you would like to use a stove or make a fire (under safe conditions). Dogs are welcome, and there is no red tape for day hikers, so get out and enjoy! 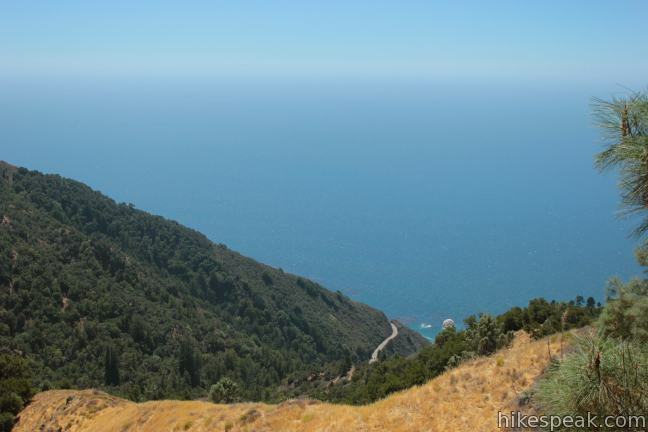 Bad News: As of July 2018, Highway 1 has reopened to provide access to the trailheads from the north and south. For more information, you may call the US Forest Service Monterey District Office in King City at (831)385-5434. 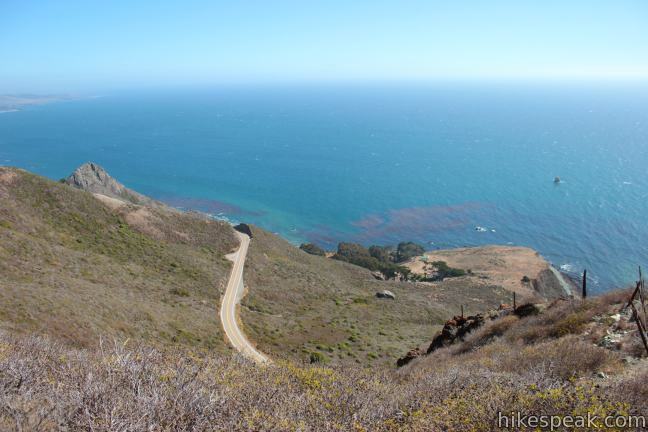 Take Highway One to a large horseshoe bend, 3.7 miles north of Ragged Point Inn (or 26 miles north of Cambria). Pull off the road on the north side of the bend, just past the trail to Salmon Creek Falls, and find the start of Buckeye Trail next to the out-of-service Salmon Creek Ranger Station. 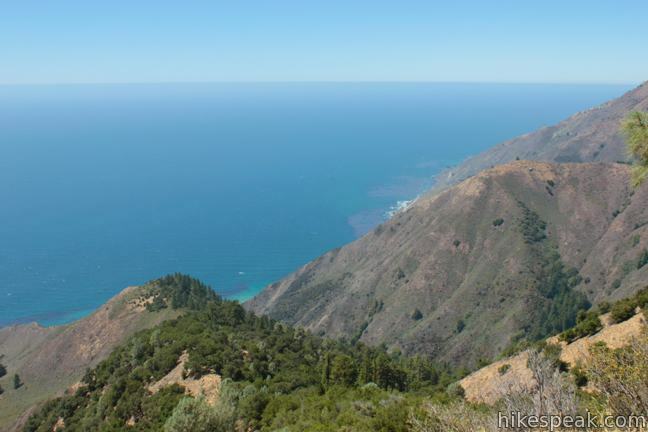 From the other direction, drive 33.5 miles south from Julia Pfeiffer Burns State Park (home of McWay Falls) or 41.5 miles south from the Nepenthe Restaurant turnoff in Big Sur. 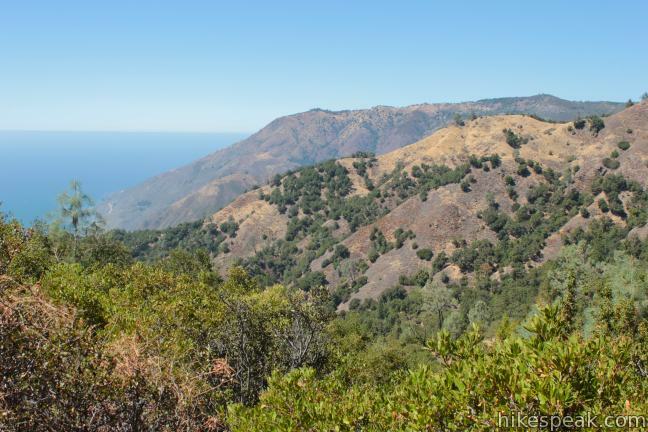 To get to the Soda Springs Trailhead: Take Highway One to a dirt parking area along the road, 5.3 miles north of Ragged Point Inn. Look for a trail mileage sign at the trailhead. Soda Springs is 2.7 miles south of Cruickshank Trail. These photos were taken in September of 2012. Click to enlarge. Cruickshank & Buckeye Trails in the Silver Peak Wilderness by hikespeak.com. 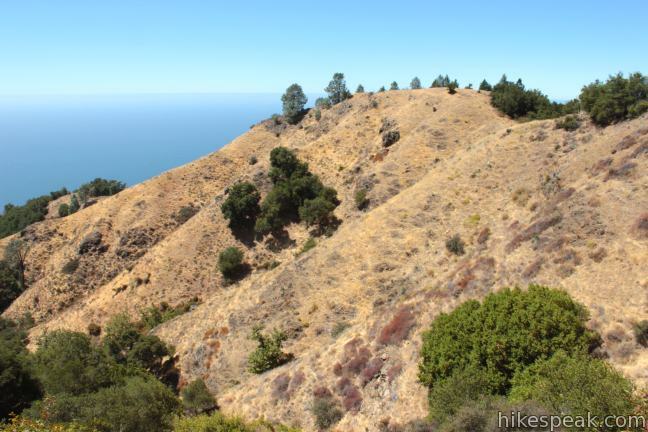 This hike into Silver Peak Wilderness starts with bold ocean views and crosses redwood groves to reach Upper Cruickshank Camp at a junction with Buckeye Trail, 5 miles round trip from Highway One. 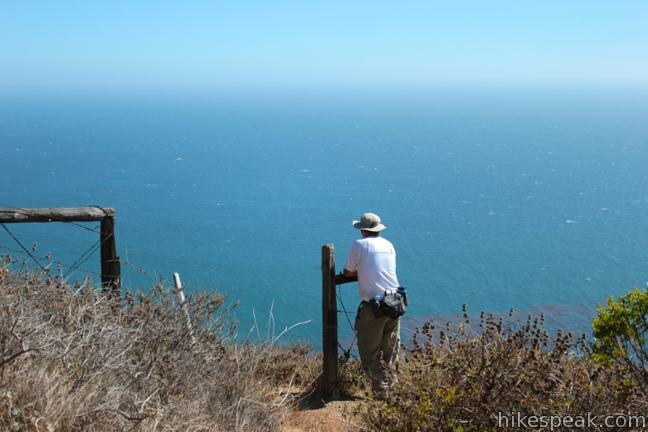 This 1.5-mile hike along an ocean bluff visits a prominent peninsula and a small cove. 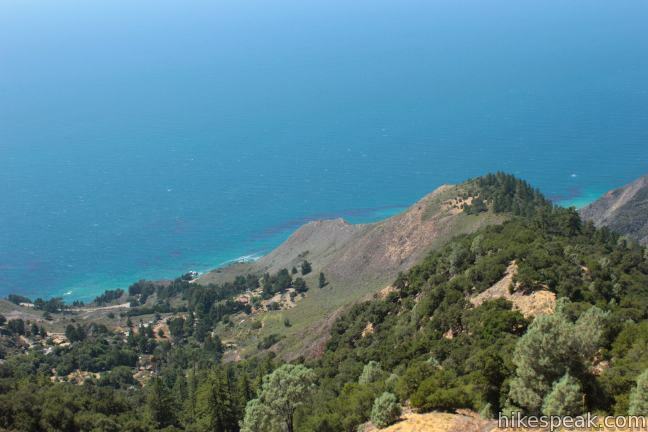 This short hike to Big Sur's longest beach passes two scenic overlooks on the way to the sand for a hike of 0.5 miles (or more) round trip. 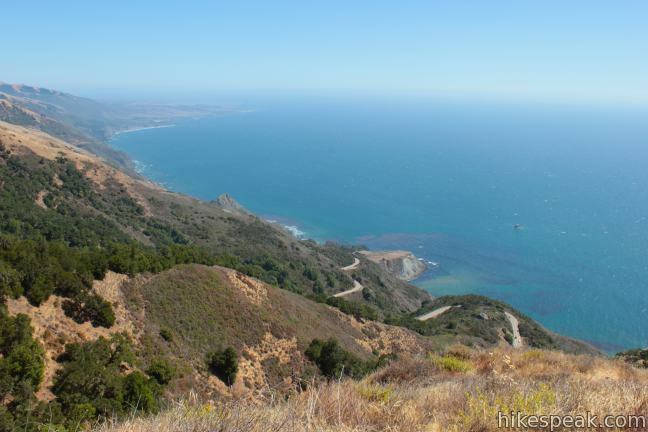 This short out and back hike extends from Highway One to an ocean bluff with fantastic views of the Big Sur Coast. 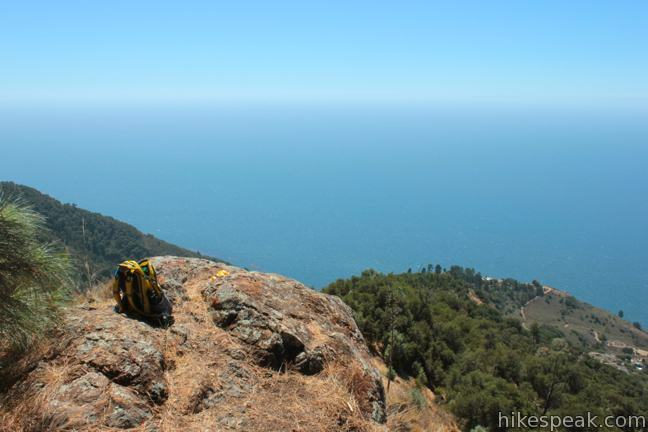 This 2.65-mile hike in Limekiln State Park explores a trio of trails along lovely streams in redwood-lined canyons, reaching Limekiln Falls and historic lime kilns. 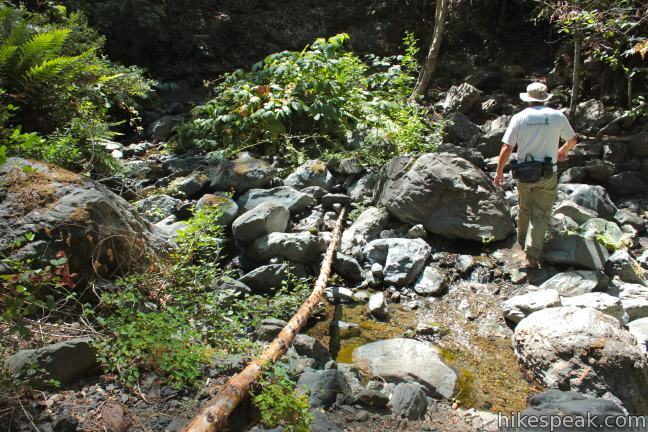 This 0.9-mile hike heads inland up McWay Creek past a picnic area in a redwood grove to a lovely little waterfall. 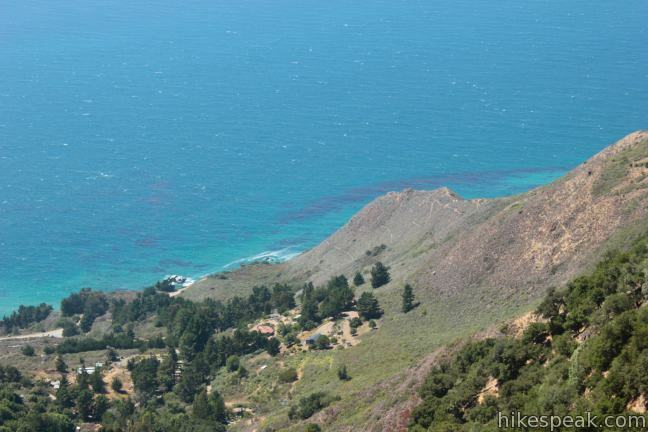 This 1.5-mile hike visits a cove and a secluded beach along the scenic Big Sur coast. The cove is accessed through a tunnel. 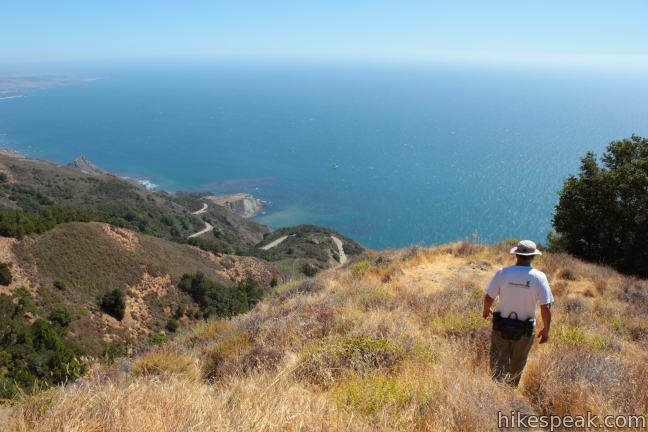 This short walk reaches an absolutely stunning beach that's a classic feature of the Big Sur landscape. 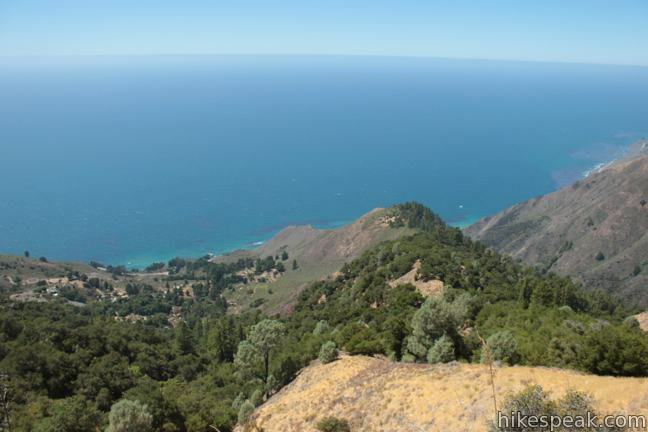 This half-mile off-trail hike ventures up the Big Sur River on a water-wading boulder-hopping adventure to a crystal clear pool that's a gorgeous Big Sur swimming hole. 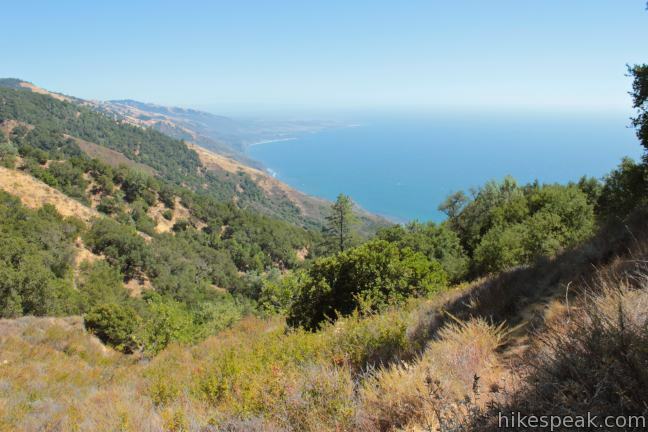 This 2.4-mile hike is like two hikes in one, reaching a waterfall in a canyon of redwoods and a vista point overlooking the Big Sur River Valley. 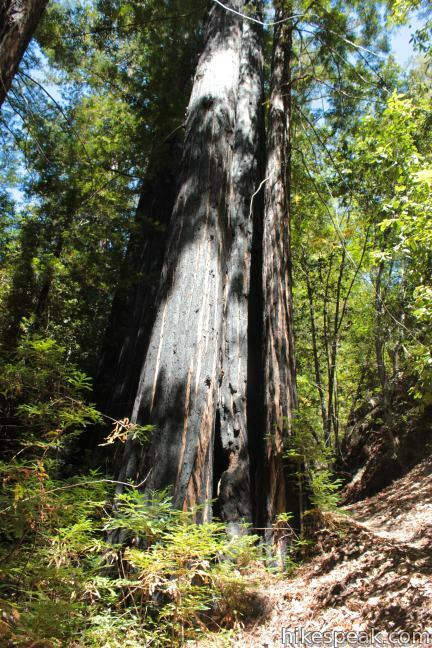 This easy 0.55-mile loop explores woodlands along the Big Sur River and a redwood grove that includes the unique and impressive Proboscis Tree. 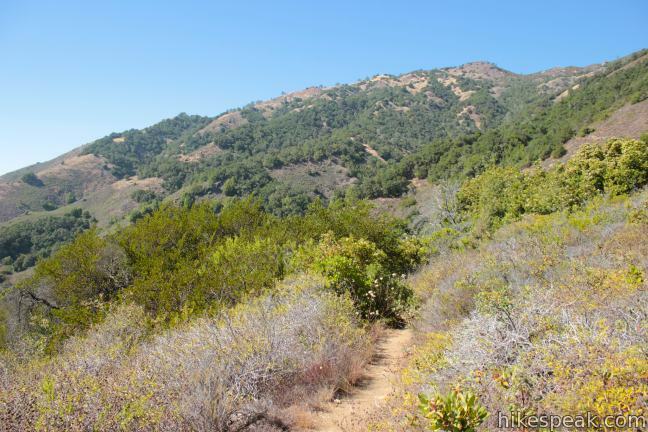 The loop can be combined with the trail to Pfeiffer Falls and Valley View for a 3-mile trek. 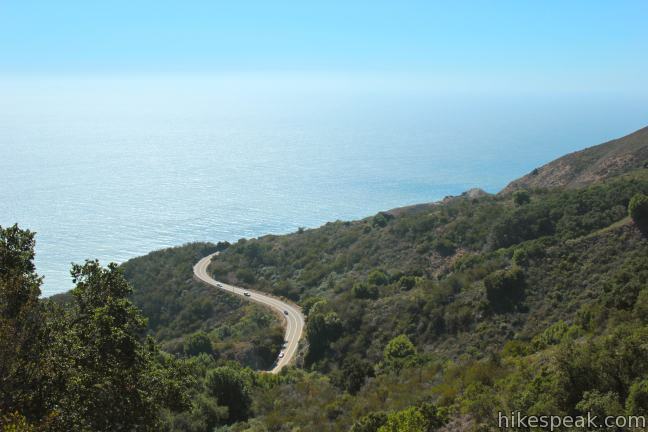 This 8.7-mile loop in Andrew Molera State Park crosses a coastal ridge, bluff, and beach that are packed with amazing Big Sur views. 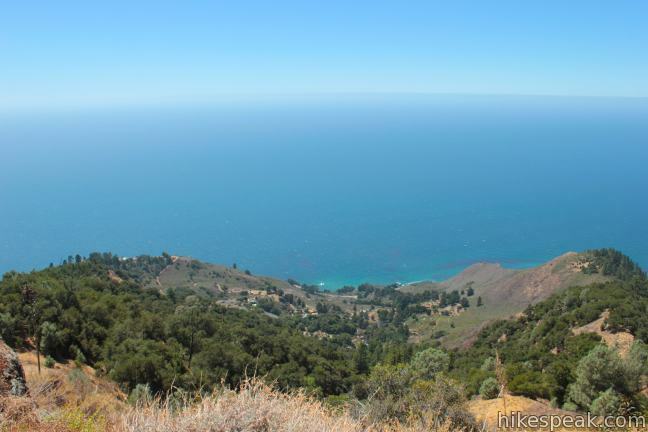 This outstanding 33-site campground in Los Padres National Forest has enormous ocean views from a bluff along the Big Sur coast. 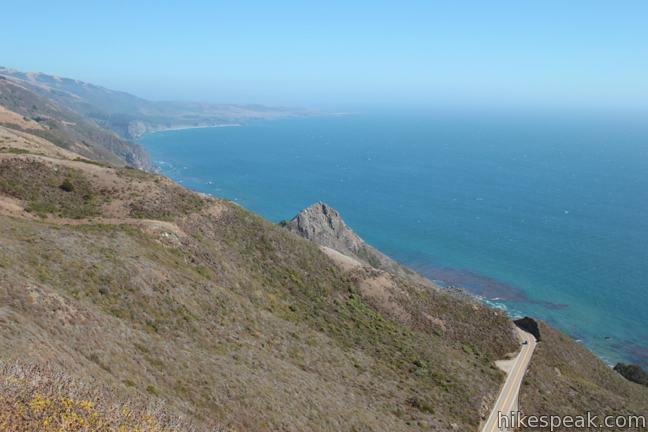 This 45-site campground in Los Padres National Forest is positioned across Highway One from Sand Dollar Beach and Plaskett Rock Point on the coast of Big Sur. 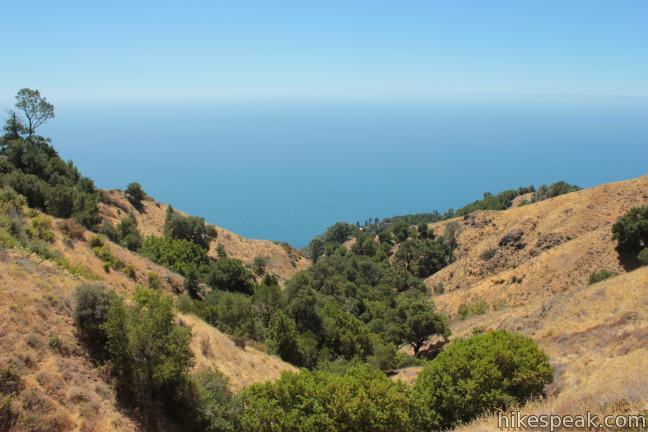 This small Big Sur campground at the bottom of Limekiln Canyon has sites along a creek through a redwood grove and near the ocean, with access to trails up Limekiln Canyon. 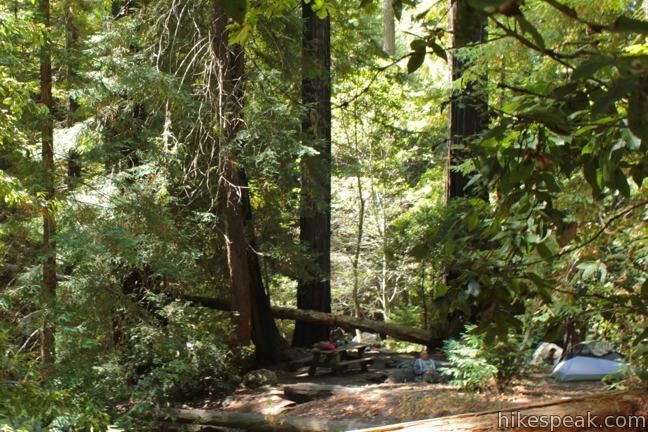 This large campground in the heart of Big Sur is spread out through oak and redwood groves along the Big Sur River. 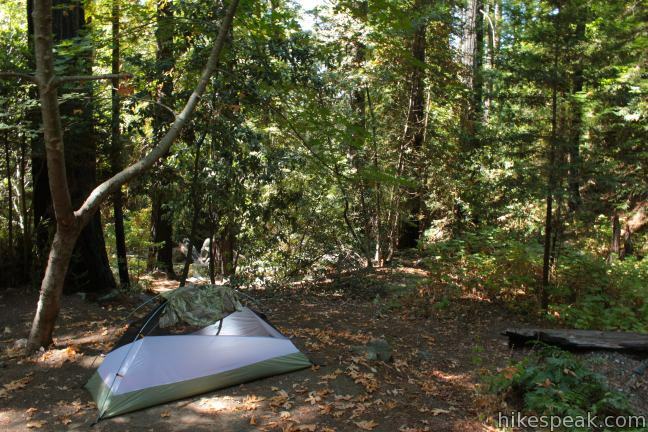 This trail camp is easy to reach (just a short walk in) with campsites in a meadow along the Big Sur River near Molera Beach. Wow this is an amazing trail. 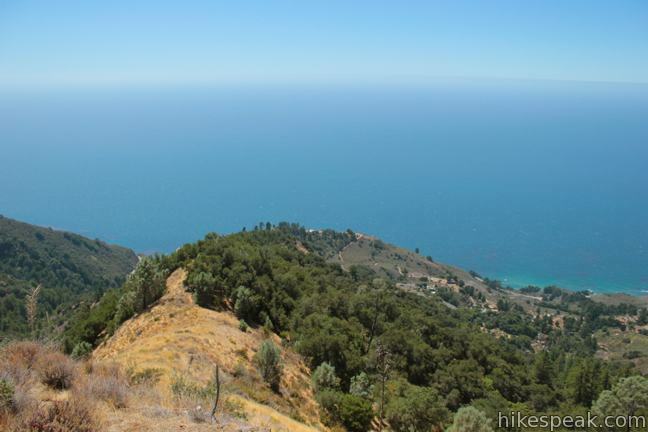 I love Big Sur, but it looks like I need to spend more time hiking there! I will be doing this entire up and back route on Monday 10/8/12.. Can I go from Soda springs trailhead to Villa creek camp and back in one day?? That will be a great full day hike. Have fun!